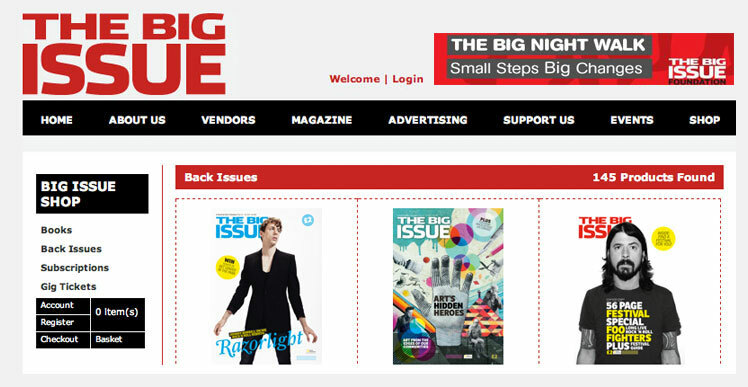 Resolution Creative were commissioned to redevelop, architect and produce a new online presence for The Big Issue to include both the Business and Foundation area's of the company. The main requirements were to bring a clean and fresh look along with current information which can be self managed internally via a content management system. 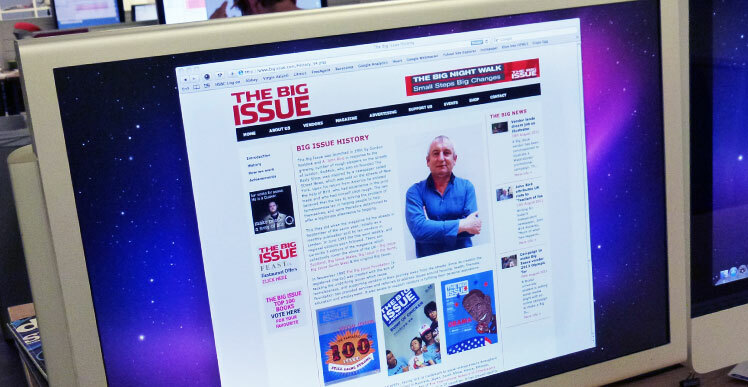 Resolution Creative worked closely with The Big Issue during this process to create and produce a functional and easy to facilitate website for both the end user and internal administrator alike to manage their online communications effectively. With the production of a bespoke content management system we were able to fully meet the requirements of the client in joining both parts of the business into one medium without the loss of exposure. 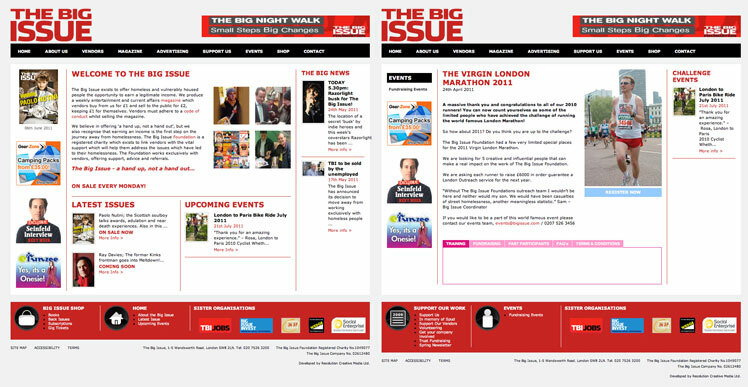 Since 2008 Resolution Creative have worked in partnership with The Big Issue following the successful launch of the website. Over the last few years we have been responsible for site maintenance and deployment of various online projects, campaigns and promotions. Through a close working relationship and loyalty Resolution Creative have the privilege of three years continued service.